A national nightmare: Has Russia turned Trump? Attorney general nominee William Barr testifies during a Senate Judiciary Committee hearing on Tuesday. It’s the kind of thing a writer of Washington thrillers would deem too implausible for a persuasive plot: Russia somehow manages to turn the president of the United States. And yet, here we are, a country once acclaimed as the world’s greatest democracy, seriously entertaining the question of whether that might be the case. It sounds like the stuff of conspiratorial pipe dreams. But as The New York Times recently reported, the FBI itself considered the notion serious enough to merit investigation. It won’t, of course. One of the sad aspects of the Trump administration has been the diehard support he can claim from some 35 percent of the American public. That, and the way his senatorial sycophants and lackeys in the right-wing media have blinded themselves to any suspicious behavior regarding this president and Russia. Indeed, as he questioned attorney general nominee William Barr on Tuesday, Republican Senator John Cornyn tried to get him to endorse the notion that the FBI was waging a political vendetta against Trump. That Barr declined to do, saying he wasn’t sure what the predicate was for the bureau’s counterintelligence probe. The FBI reportedly first grew concerned when Trump, in one of the strangest moments of the 2016 campaign, publicly appealed to Russia to hack Hillary Clinton’s e-mails. The bureau grew more alarmed when the Trump team watered down tough anti-Russia language in the GOP’s 2016 platform. We now know there were the numerous contacts between Trump’s campaign circle and Russian operatives; that campaign chairman Paul Manafort shared Trump campaign polling data with a Russian associate who has ties to Russian intelligence; that Russia waged a concerted covert effort aimed at helping elect Trump, including hacking Clinton campaign e-mails; that Manafort, Donald Trump Jr., and Trump son-in-law Jared Kushner met with a Kremlin-linked Russian lawyer in the hope of obtaining dirt on Clinton; and that the president fired then-FBI director James Comey largely because of the FBI’s Russia investigation. Oh yes, and that Trump has gone to extraordinary lengths to avoid any record of what he and Putin talked about during their several discussions. Beyond frightening. Surreal. But given that the FBI itself has had those concerns, it’s certainly reasonable for any intellectually aware person to entertain them. There are only a handful of people who know for certain. One is in the White House and can’t be believed. Another is in the Kremlin and can’t be believed. And then there is the man who knows enough to offer a considered judgment: special counsel Robert Mueller. 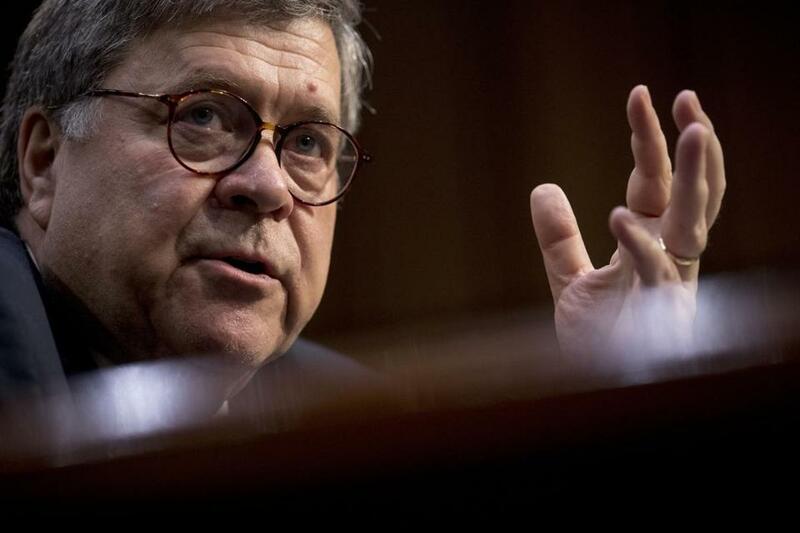 Barr, to his credit, has pledged to protect the investigation and has said he wouldn’t allow Trump to edit Mueller’s report. However, Barr’s qualified comments regarding whether the report will be made public — “My goal will be to provide as much transparency as I can consistent with the law” — was less reassuring. Every federal officeholder who aspires to be a guardian of our democracy rather than a political hack should demand that Mueller’s report be released to the public with an absolute minimum of redaction. History will honor those who insist on truth and transparency.